Our chiropractic team works collaboratively with our physical therapy and medical providers using the innovative DMR Method of non-surgical treatment. Chiropractic care is an effective therapy focusing on improving and maintaining the health and function of the spinal column and nervous system. Chiropractic is essential for any wellness lifestyle, offering a plethora of benefits that can improve nerve function, posture, while strengthening the immune system. Many people rely on chiropractic treatments to help keep their body and nervous system balanced to optimize their whole-body health. Chiropractic is also extremely effective for treating many health conditions and injuries caused by auto accidents, sports injuries, and occupations. Chiropractic care is a safe treatment for people of all ages, including infants, toddlers, and children. Contact DMR Clinic Woodbury today to learn more about our chiropractic care and to request an appointment. If you are suffering from these and other complaints, our chiropractors at Hopkins Health & Wellness Center and DMR Clinic Woodbury are here to address the root cause of your pain so you can feel better. Our team of chiropractors is committed to finding, diagnosing, and treating the cause of your symptoms in order to correct those issues and bring your body back to health. Visit our team page to meet our chiropractors who want to improve your health and wellness while getting rid of your pain and discomfort. Dr. Rachel had always wanted to work in the healthcare field. What drew her to chiropractic was the opportunity to help people overcome a variety of conditions without using drugs or surgery. 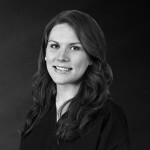 She is passionate about working with an integrative wellness team to provide comprehensive treatment for her patients. Her mission is to create a healthy community by educating and empowering as many people as possible to experience optimal health by promoting wellness in every aspect of life. Her goal is to help each patient become pain-free and enjoy life to the fullest as quickly as possible. Dr. Jeff Elliot was born and raised in Waconia, MN, and stayed very active in a variety of sports and outdoor activities. 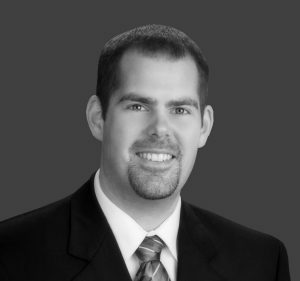 He completed his undergraduate degree in Biology at UW-River Falls, and then moved to Bloomington, MN, where he earned his Doctor of Chiropractic degree from Northwestern Health Sciences University in 2008. Dr. Jeff has also completed post-graduate programs in Acupuncture and Nutrition. The driving force for Dr. Jeff’s career in chiropractic came at the young age when his older brother, who was also very active in sports, was suffering from a severe low back injury that was preventing him for participating in cross-country. A family friend recommended a local chiropractor and he helped him overcome the injury and it opened our family’s eye to the wonders of chiropractic care and alternative healing. Prior to graduating from Northwestern Dr. Jeff spent several weeks in Costa Rica volunteering his time and chiropractic skills to underprivileged communities. “It was a very humbling experience… caring for people living in poverty and to help a patient walk for the first time in years is very rewarding”. When Dr. Jeff is not treating patients, he enjoys spending time with his daughter Ellie. He also stays active by participating in coed volleyball and softball leagues, attending concerts and sporting events, and enjoying the outdoors. Dr. Joe Jacobson grew up in a small town in Northern Minnesota. He attended Minnesota State University Moorhead where he received his bachelors in Biology with an emphasis in health and medical sciences. He attained a doctor of chiropractic degree from Northwestern Health Sciences University in Bloomington, MN. 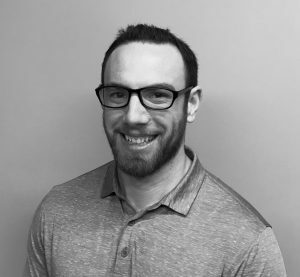 Dr. Joe began practice in Blacksburg, VA, where he gained worked with a large group of chiropractors that worked collaboratively with other healthcare professionals. He and his wife decided to move back to Minnesota and because Dr. Joe places a strong emphasis on collaboration with other health care providers in order to provide the highest level of care, he felt DMR Clinics would be a perfect fit for him. In his spare time, he enjoys obstacle course racing, martial arts, paddle-boarding, traveling, spending time outdoors and is an active member of the Minnesota Rugby Referee Society.